Communities benefit from our work in several ways. Our core practice of Surplus Stewardship™ takes surplus furniture and equipment that would otherwise likely go to landfill, and stewards it to community organizations - non-profits, charities, public agencies, schools, and police & fire stations, and more. This practice frees up the organizations' resources to continue and expand their good work in the community. Many of our sponsors are furniture manufacturers. We work with them to implement Surplus Stewardship™ in their sales and decommissioning processes. Click here to learn about Full Circle, an exclusive resource recovery program developed by KNOLL, an ANEW sponsor. One way ANEW commits to building stronger healthier communities is through our many years of membership in, and partnership with the U.S. Green Building Council. In our Surplus Stewardship™ projects we’ve met LEED criteria, and earned LEED points for clients seeking LEED certification. These clients include Sony, Kaiser Permanente, PIMCO, Milbank, Allen Matkins and others. Click on the acronyms to learn more about USGBC and LEED certification. 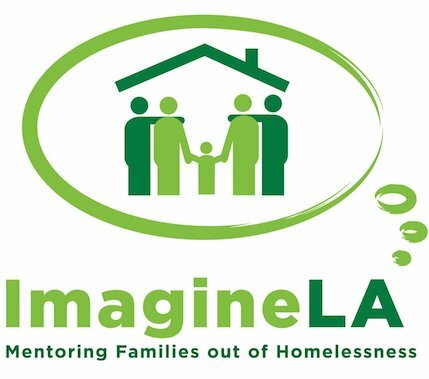 Imagine LA works to end the cycle of family homelessness and poverty in Los Angeles. 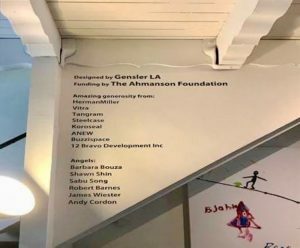 Recently ANEW, Gensler Los Angeles, The Ahmanson foundation, Herman Miller, Vitra, Tangram Interiors, Steelcase, Koroseal Interior Products and BuzziSpace collaborated with Imagine LA to help them support their mission. In Los Angeles more than 58,000 people are homeless, 1/3 of of them families and children. We’re all working to reduce and end this heartbreaking statistic.